There's only a few Max Faxtor foundations I've tried in the past, their famous pancake foundation and their Xperience Weightless foundation. I honestly didn't like the feel of their pancake no matter how flawless it made my skin. It was drying and it made my young skin itch. Of course, I didn't know any better. But when I tried Weightless Foundation, it was love. It has tons of natural ingredients and I just love the coverage. Last February, Max Factor released a new foundation, Ageless Elixir 2 in 1 Foundation and Serum. I wasn't too thrilled to try this compared to other foundation that controls oil or covers blemishes. You know well that my major need for foundation its capacity to contorl my oiliness and to cover my pimple marks. So when MF sent this over, I thought I might be the right fit to review it. But then again, I can't resist a gift and just had to tried it. 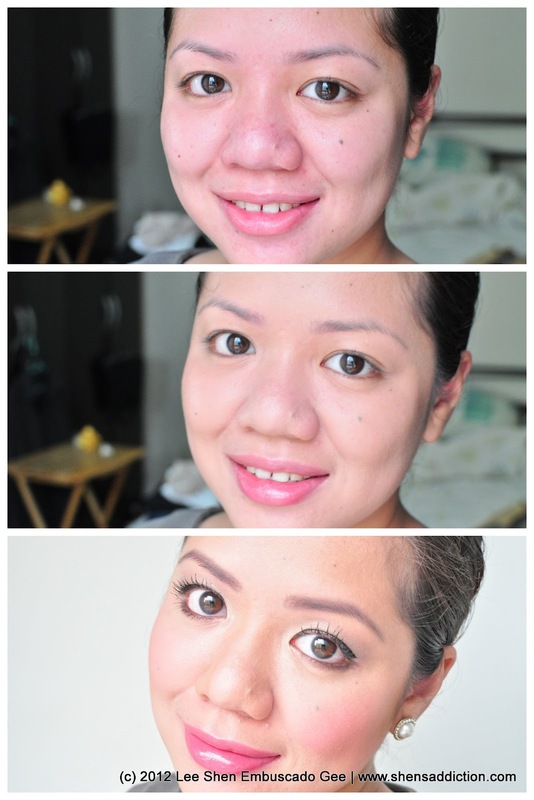 I was surprised with how it covered my blemishes and how it evened out the skin tone. See how little I don't have to use a concealer? Without any sort of blemishes like a super bad acne, this foundation is a good everyday wear. I still feel that I don't need to use a cosmetic that contains anti-aging product, I got that covered in my skin care. But I guess it just doesn't hurt to have something like this. After all, it's not my first time to try something like this. Another great thing I like about this is that it doesn't worsen my oiliness. It doesn't stop it like my other oil-controlling foundation but it doesn't aggravate it either. Tama lang. I really thought that it would be too oily but I'm glad it isn't. Although I still prefer Weightless Foundation over this one, women who have aging concerns will love this. Obviously it covers my fine lines, wrinkles and provides really good coverage. It's because this foundation have a serum infused that prevents anti-aging. Another is that the pigments have light-reflecting properties that diminishes the appearance of wrinkles. For just a few times using this foundation it grew on me. It has a mousse-like texture that makes it easy to apply. It's easily absorbs into the skin. It has a sort of thick feel (like I'm using a moisturizer) but it gives a semi-matte effect. Another great thing, it's got SPF 15 which can be seen as an added protection from the harsh sun. Max Factor Ageless Elixir 2 in 1 Foundation and Serum 30ml, Php895. so miss shen, do you recommend women in their mid 20's to use an anti-aging product of some sort. e.g. I'm 26 and I wanted to know what product will suit me better for I have fine lines, a shouting eyebags (LOL), and wart-prone skin. Please advise. 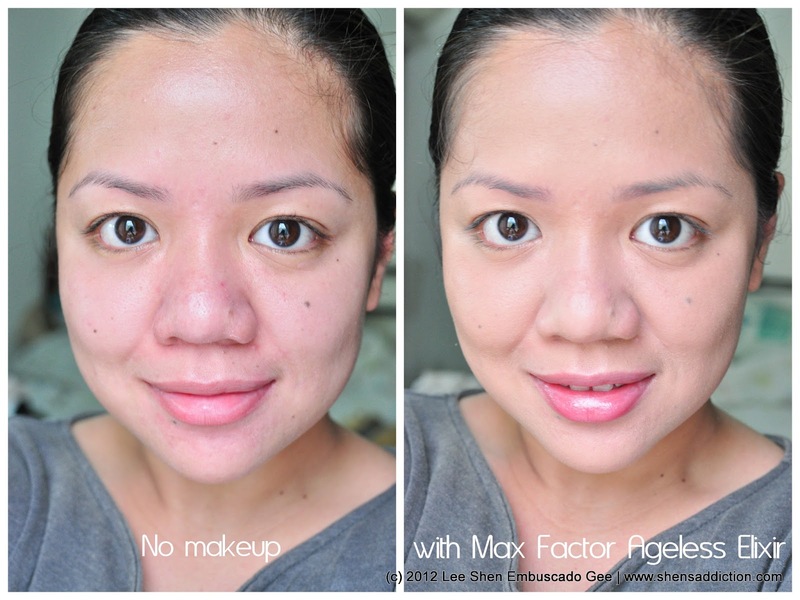 This is the Max Factor Foundation that I love best! It's so easy to apply and it's anti-aging!